Everybody loves free stuff! What do you give away at events or as prizes? There are so many items out there that you can personalize. Here’s what I’ve learned along the way. Shipping - If you are mailing your swag, be careful that what you buy is easy (and cheap) to ship. My author friend bought cute mugs with her book cover on them. But the cost to wrap and ship was outrageous. And if you’re mailing prizes, make sure that you specify the mailing area. It’s costly if you have to mail items overseas and complete custom forms. My author friend, Tina Glasneck, said to make sure that your prizes always fit in a standard envelope. Themes - I try to theme by give aways to match something in the book. I’m part of a dog-themed cozy mystery collection (To Fetch a Thief), and I try to have things that will appeal to dog lovers. Candy - Candy (the good stuff) is always a hit at events. Just be careful of the temperature. I took chocolate to a summer event, and it was squishy. Personalized Swag - I had pencils made for my private eye’s company. They also had the book title, my name, and my website. People like pens and pencils. My author friends, Mary Behre and Kristin Kisska, always give away pens with purple ink. People tend to keep them because who doesn’t love purple ink? I always have bookmarks made for each of my books and short stories. After many events, I’ve seen my ebook sales spike. Some folks prefer ebooks. I always include the cover, my picture, the ISBNs, and my contact information for each book. And don’t forget the back of the bookmark. You can include your other books that the reader may like. Keep a stack with you always. You never know when you’ll run into a reader. I had notecards made with my book covers on them. The back side is blank. I use these to write notes for just about anything. I use Vista Print and Next Day Flyers for business cards, note cards, and bookmarks. Prizes - I use Etsy to find cool give aways that my readers would like. I’ve found wine glass charms, stickers, magnets, pins, and jewelry. (My Delanie Fitzgerald series has an 80s theme in the first book, so I often give away 80s pins instead of candy.) I also give away gift cards because they are easy to mail and fit in a standard envelope. Amazon and other sites have egift cards that you can email to winners. What kind of swag do you like to give or get? Let me know what you’d add to my list. Get organized. 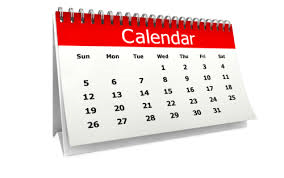 Create a four-month calendar (2 months before the date and 2 months after). Record all of your tasks and promotional events. Make a list of all the places (physical and online) where you’d like to promote your book. Be creative. Look at your list above and think of other options to add. For example, we had wine-themed anthology, so we looked for wineries, wine festivals, and wine shops that would host of us for book signings. Make a list of all the places you need to update with your book information (e.g. social media biographies, webpages, blog, Amazon author page, BookBub page, etc.). Update your blog and website with your book information. Order swag for events and give-aways. Make sure that what you order is easy to mail. Send out press releases to your local media outlets. Don’t forget the weekly publications and the shopper give-aways. Create a book information sheet with your synopsis, updated biography, social media links, and book links. Make sure you include this with all blog tours and interviews. Create a page on your website for all of your books. Include a short summary and buy links for multiple outlets. Look at your task list and add “tell everyone you know.” Don’t forget to submit your announcement to the member news sections of groups you belong to. Many groups have newsletters where they recognize accomplishments. I send all my releases to all my alumni newsletters. Contact all your writer friends who will help you promote your book on their blogs or newsletters. Schedule those on your calendar. Decide how much and what you’re going to spend your marketing dollars on. What are you going to spend on pre-sales, launch events, and after-launch? Are you going to pay for blog tours, email blasts, or Facebook boosts? I also look for volunteer or charity events for causes that I support. I often donate a prize and book basket for raffles or give-aways. And these are always stocked with book swag. What else would you add to my list? It’s a time to celebrate your accomplishment!